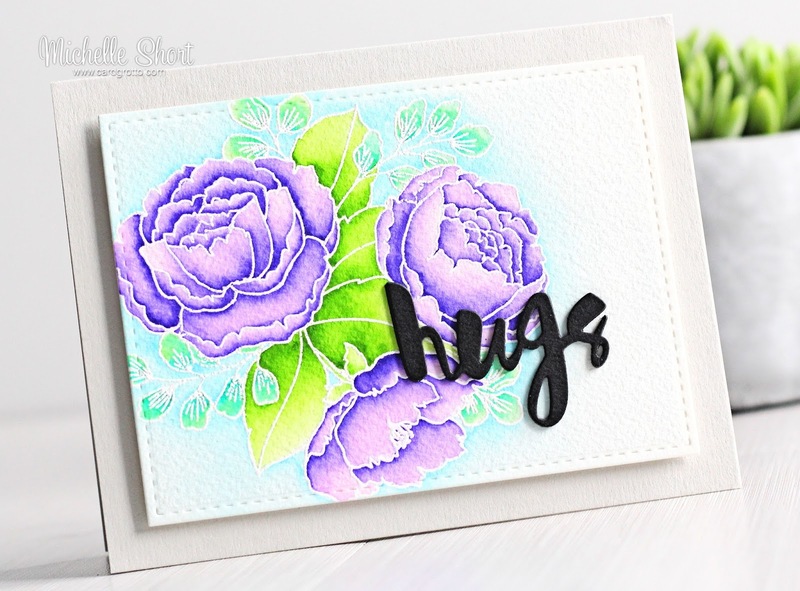 Hello there, today I have a card to share using the Mama Elephant Organic Blooms set. I shared this card using it not that long ago and I really loved the colours I used, as well as the layout, so I recreated it. This time using Zig Clean Color Real Brush pens. I started off with a piece of Arches Cold Pressed Watercolour paper. I then took the Organic Blooms image and stamped this with Versamark ink. 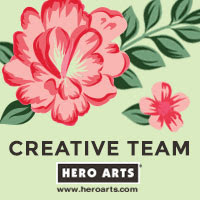 I added Hero Arts white embossing powder and then heat set. The image was coloured using Zig Clean Color Real Brush pens and water (I have all the colours used listed below the supplies section). The panel was then cut down using the ME Femme Frames rectangle die and added to a SSS Fog A2 card base with foam sheet. I took the SSS Painted Hugs die and cut this three times from black cardstock. These were layered up and then added to the card to finish. 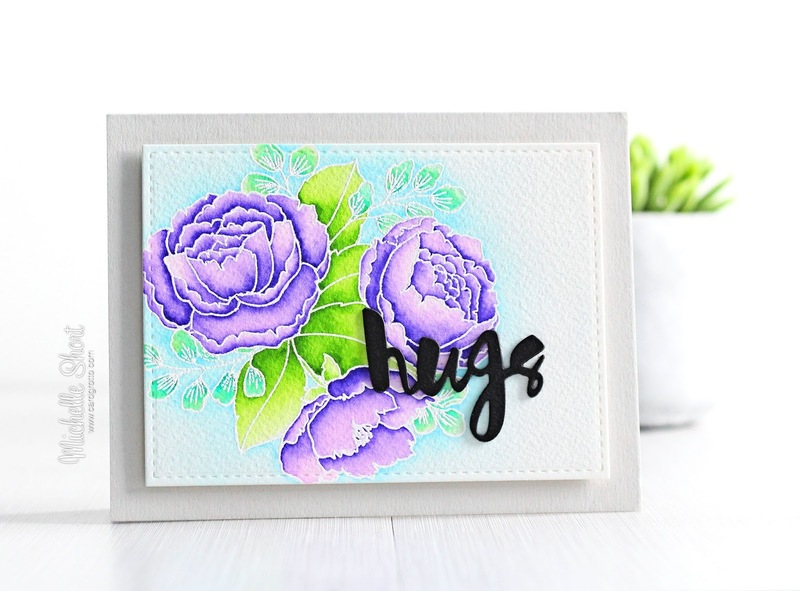 ZIG CLEAN COLOR REAL BRUSH PENS: Flowers - Light Violet 081. Large leaves - Light Green 041, Pale Green 045. Small Leaves - Light Green 041, Turquoise Green 042. Shadow - Light Blue 036. It was really nice getting back into doing some colouring on this card. Thank you so much for visiting me today. I really appreciate you stopping by. I hope you have a great day! 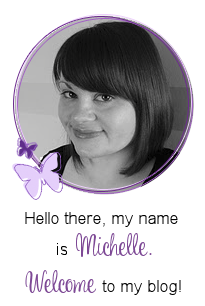 Wow Michelle - looks like your mojo is well & truly back! This is simply stunning! Love the colours of the flowers and the soft background. I like that you used a bold sentiment die cut on the subtle background, very stunning. It's gorgeous! Such beautiful colours, and I love the black hugs on top - sublime! Gorgeous card....just so beautiful. Love all those soft wonderful colors. Beautiful coloring with your Zig markers, Michelle! I love how you blended the shades of purple, and how you added the soft blue background...so lovely!